There, I said it. Please now excoriate me. In self defense, I will point out that I did not say that Shakespeare was not a great writer. I also did not say that I don't like Shakespeare's work. I do like his work and I do think he was a great writer (or at least a very good one). I just have trouble with using the superlative when evaluating him (or any writer). Rather than putting Shakespeare on a pedestal all by himself, let me put him on a pedestal with another great writer, Miguel de Cervantes. Regardless of whether either was "greatest" or "great," how can we go about comparing their work? First let me give a few random thoughts, in order of increasing relevance and meaningfulness. Then I will go on and analyze one Shakespeare play and Don Quixote. Shakespeare and Cervantes both died on April 23. 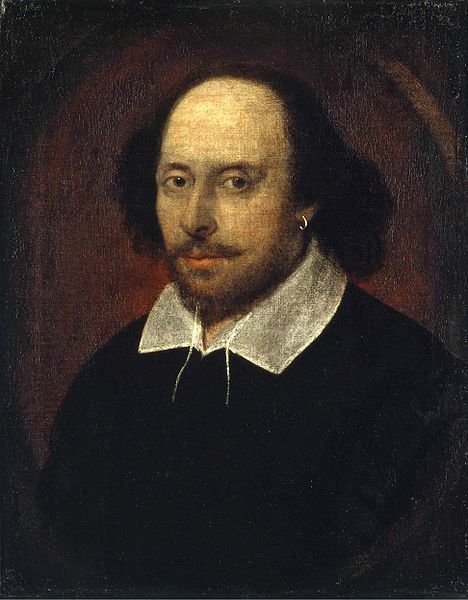 Cervantes wrote fiction in Spanish; Shakespeare wrote fiction in English. Both mastered their language and went on to influence it in historic fashion. Cervantes was master of the novel genre; Shakespeare was master of the drama genre. 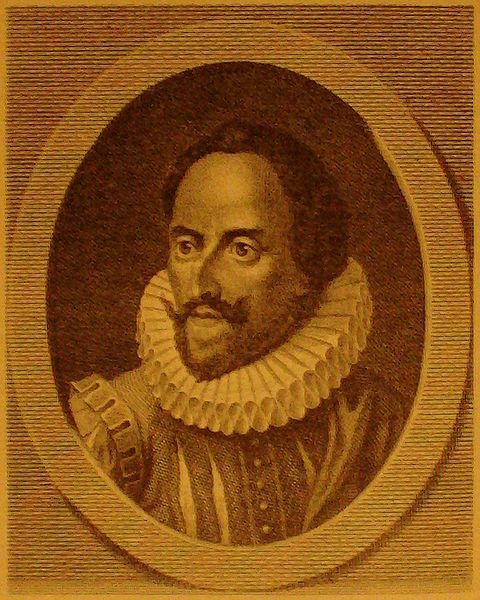 Both also wrote in other genres, notably poetry, and Cervantes was also a playwright. Both mastered the art of writing fiction and went on to influence fictional genres in historic fashion. This influence is largely due to their experimentation with genres. This experimentation was often farcical. The Taming of the Shrew, a play, and Don Quixote, a novel, should both be read as farces (my working definition: fiction that focuses on ridiculous situations created by ridiculous characters who usually remain flat, or undeveloped). Now let's consider their work. I take The Taming of the Shrew and Don Quixote because I happen to have recently watched film adaptations of both. And I must confess that while I have read The Taming of the Shrew, I have only read excerpts of Don Quixote, never the entire novel. My wife and I watched The Taming of the Shrew mainly because Elizabeth Taylor died in March of this year and we had never seen any of her movies except Little Women, in which she was only a supporting character. So I asked two coworkers more acquainted with Taylor's cinematic era and they both recommended The Taming of the Shrew. We then watched Don Quijote de la Mancha because 1) we had never had the patience and fortitude to finish the novel (which we did start reading together a few years ago) and 2) I wanted to blog about Shakespeare and Cervantes in the same post and watching the movie was going to be a lot faster than reading the book, even though the movie was more than five hours. Burton and Taylor's The Taming of the Shrew (about two hours) was undeniably well done, and the two actors make a perfect combination, though knowing they were actually married makes one a bit worried and certainly not surprised that their relationship(s) had so much . . . upheaval. Overall the acting was so well done that the difficult English from Shakespeare was not a problem. Regarding other aspects of the film, the sets were quite good for an older film, though my favorite part would have to be the costumes. Don Quijote (nearly five and a half hours) was actually a TV miniseries of five episodes, released in 1991 on Spanish television. The acting was equally well done and the movie left me feeling as though I had stepped into the book. There are two points which I cannot address in an informed way. First, I do not know in any detailed way just how close both of these movies are to the original texts. I have not read Don Quixote in its entirety and have not recently read The Taming of the Shrew. Second, I do not know how well these two movies represent the original texts compared to other film versions. These are two interesting points, and if anyone can address them it would be helpful. I have never understood why people think book-based movies should closely follow the book. A book and a movie are two independent artistic productions. It is always interesting to compare but faithfulness is not essential or necessarily desirable. In relation to The Taming of the Shrew and Don Quixote, I am interested in the question mainly to know whether reflections on the movies I have seen can also be applied to the original texts. From what I know of the originals, they can. So here goes. As mentioned above, the key for me in interpreting these two books/movies is farce. In the case of The Taming of the Shrew, I found myself wondering what modern and postmodern viewers must think of the representation of women. And sure enough, there has been much discussion out there both for and against the view of Shakespeare as a misogynist. Interestingly, this discussion actually started when the play was first performed. And if we take the view that Shakespeare really was serious about everything in the play, then certainly we could dismiss it--but it is a great piece of literature precisely because it is a farce. One could be forgiven for having taken the character of Petruchio at face value and then getting upset at Shakespeare; people also took Jonathan Swift literally in A Modest Proposal. But no one should think that Shakespeare really wanted husbands to manipulate their wives psychologically (beating them into submission in a figurative way) like Petruchio does to Kate. That's why the play is comical. Petruchio is hilarious because he is so outrageous (and quite mean--at certain points in the movie my wife in particular felt sorry for Kate instead of laughing). The whole point of the play, made through the farce, is the long-suffering love required in marriage. Petruchio and Kate are both over-the-top characters in order to magnify what every husband and wife deals with from time to time and to make it amusing for us. In the case of Don Quixote, the farce does not function to exonerate the author of alleged bad values. I doubt anyone has ever wondered if Cervantes was trying to convince us that Don Quixote was not mad. The story is simply funny. And the brilliant farce takes on a new dimension when we are reminded of the era in which Cervantes was writing, and what he was actually trying to mock. Knights errant were excessively praised in medieval literature--their exploits, their looks, their horses, their squires, their fair damsels, their character. So when Cervantes writes a novel about an old man who is obsessed with such literature and then imagines himself as an unparalleled knight errant, we see the pretentious literature of the period taken down to size. Don Quixote gives himself an exotic name, imagines his aging horse as a powerful steed, thinks a brawny peasant girl is his fair lady, commandeers to be a squire his peasant neighbor who rides a donkey, convinces himself that a portable wash basin/urinal is a golden helmet, and routinely insists that sleepy windmills and innocent travelers and quiet monks and blissful sheep are actually nefarious knights or criminals needing his lance to bring them to justice. The madness of Don Quixote serves to mock the "epic" literature of Cervantes' day, and through the madman's multifarious adventures the author is all the while playfully asking, "Do we really take ourselves so seriously? Are we not a bit crazy at times too?" Timeless questions. So, who would you pick today? Cervantes or Shakespeare? How great were they?